1 Somerville Cottages in Poolhill, near Newent, Gloucestershire sleeps 4 people. 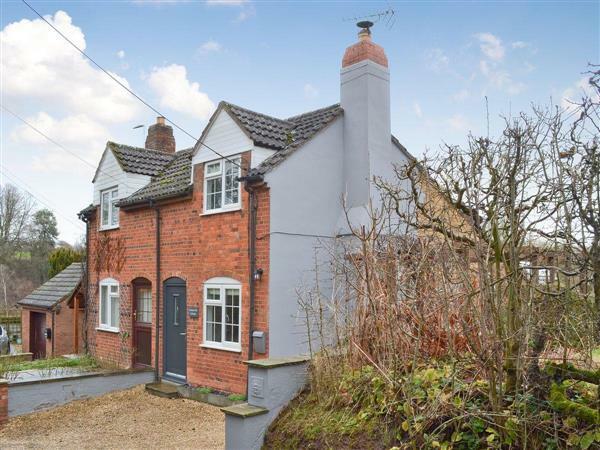 1 Somerville Cottages near Newent is situated in a tiny hamlet on the outskirts of Newent; 1 Somerville Cottages has been presented throughout to meet the expectations of the modern customer. The outside of this semi-detached cottage won’t disappoint either, with a large garden with a summerhouse, sitting-out area and private hot tub overlooking the countryside beyond the garden borders. The cottage is located at the northern edge of Gloucestershire with easy access into Herefordshire, Monmouthshire and Worcestershire. These amazing counties offer such a diverse range of pursuits, from sporting activities in the Forest of Dean, the Perrygrove Steam Railway, museums and Go Ape, to the black and white trail. Within easy reach you will also find Mappa Mundi, Three Choirs Vineyard, the cider orchards in Herefordshire, the Malvern theatre, along with canoeing on the River Wye and hill walking at Symonds Yat. There are some superb cities and towns to visit nearby including Newent, Cheltenham and Hereford, both of which host horse racing, not forgetting Ledbury and Gloucester with its docks. The shop, pub and restaurant are all 3 miles from 1 Somerville Cottages near Newent. Kitchen/dining room/conservatory: With electric oven, electric hob, combi microwave/oven/grill , fridge/freezer, dishwasher and washing machine. Electric central heating, electricity, bed linen, towels and Wi-Fi included. Initial logs for wood burner included. Garden with patio and garden furniture. Hot tub for 5 (private). Private parking for 2 cars. No smoking. Please note: No children under 16 years old, except babies under 1 year old. Holidays at 1 Somerville Cottages run from Saturday to Saturday. Pets allowed at 1 Somerville Cottages. For a better idea of where 1 Somerville Cottages is, you can see 1 Somerville Cottages on the map below. 1 Somerville Cottages is in Gloucestershire; should you be on the lookout for a special offer, you can find all the special offers in Gloucestershire. It's always worth checking to see what is on offer at the moment. Do you want to holiday near 1 Somerville Cottages (UKC3004), you can see other cottages within 25 miles of 1 Somerville Cottages; have a look to find your perfect holiday location.